This looks delicious and light. I’m all about light meals. Interesting that you wash and rinse your rice. I’ve never done that except for sushi rice. Does it do anything to the texture of the rice? But as you can see more than a days worth of salt. Also white rice is not the healthy choice. You should opt for at least brown if you have to have rice. So maybe you would like to rethink your version of healthy and not give false info to your readers. If you husband is in the medical profession he should know this and should have advised you accordingly. P.S. I’m a nutritionist… and you’re wrong. Layla you’re a good sport but you shouldn’t have to respond to that kind of nonsense. Jeff…I agree! Seriously…..I feel bad when people get on a persons blog or post and bash them…it is mean. Layla….thank you so much for the recipe and info! We are doing both steak and chicken bowls for Super Bowl Sunday! I will let ya know how it goes but I’m excited it will be a huge hit! Love this recipe, but I can’t get the rice right either. Is it supposed to be covered while simmering? 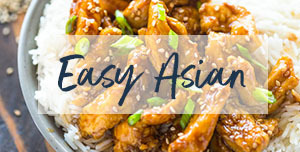 I’ve made this recipe three times and I love it, but I always have trouble with the rice. I’m following your directions exactly, and after 30 mins it’s still a pot almost full of water! What am I doing wrong?? I’m so grateful for these recipe!!!! Every time we go to USA going to Chipotle is a must, even that we are from Mexico these kind of Tex-Mex combination is not popular on our country but we love it! I just made your recipe for my kids and husband and they think is delicious!! I’m very happy you and your family are able to enjoy this recipe, Claudia! Where are you from? YOU FORGOT THE MOST IMPORTANT INGREDIENT! If you supposedly care about your health you wouldn’t be eating meat and dairy. Healthiest group of people are vegan. Educate yourself. Steak and chicken isn’t healthy. Oh give me a break. Stop shoving your vegan opinions down other people’s throats. stalk someone else, you are offending me with your veganism……I cry every time I think of those poor defenseless vegetables being heartlessly ripped from the ground and from unsuspecting plants. And just so you know, not everyone has the same nutrition requirements. I ended up in the ER with heart failure after following a “healthy” vegan diet……now, if you will excuse me, my steak is medium rare and ready to eat! @damian: I respect everyone’s dietary choices and as someone who entertains personally and professionally, I pay a lot of attention to ingredients and labeling to ensure all preferences are met. That said, your definitive statement about veganism being healthier is not accurate. Read the “Omnivore’s Dilemma” for some facts on what our bodies were designed to consume. 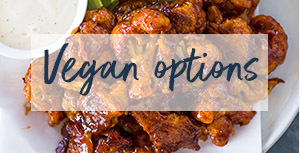 I would say the average American eats too much meat and processed food; and for the sustainability of the planet and our bodies, we would be well-served to eat a more plant-based diet, but everyone’s health needs are different and veganism does not create the healthiest outcome for all. @damian: I’ll believe that the day I see a vegan who has been following it for 20+ years without the help of supplements. If they aren’t a bag of bones that look 15 years older than they actually are then I’ll consider it. Very helpful recipe. Try it tonight and hope my children will love it! Thanks for posting but what about the dressing???? That’s what I was thinking. It would be pretty dry without a dressing. I think it works without dressing at Chipotle because their proteins are in sauce when they are scooped out into the bowl. Made this for dinner tonight for me and my grandson with homemade salsa & guac. It was amazing and my grandson says it is better then Chipotle. Thank you for the recipe. im a chipolte die hard, but also i am a 20 year old college student on a budget! this gives me a way to stick to my iron man training diet eat amazing food and not break the bank and now i know how to cook amazing food for if i ever get a date thank you! thank you very much! 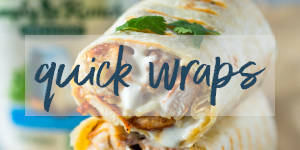 We love Chipotle, so these are definitely going on the meal list for next week, and I’ll be blogging about them here http://myadventuresindinnertime.wordpress.com 🙂 Can’t wait to try them!!! I’d like to serve this hot, but I worry about the peppers and onions being raw and too cold/crunchy for a hot rice/chicken dish. How would you suggest cooking these so it was primarily a HOT dish? Thank you!! Looks amazing! Question, when adding the rice to the boiling water do you add the water it was soaking in as well? Also, should the rice have a cover while simmering? Might be a stupid question but do you have to cook the beans or use them right out of the can? Just rinse the beans form the can. This is a great recipe. 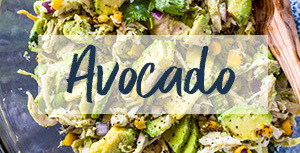 I really enjoyed the taste, the variety of colors and I used brown long grain rice in it to make it a little more healthy. 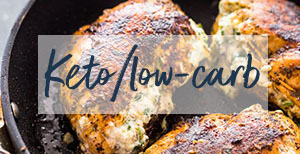 Do you happen to have the nutrition information for this recipe? I made this recipe tonight. It is FREAKIN’ AWESOME!!! I don’t eat “Chipotle’s” enough to judge whether it is authentic tasting to their recipe. However, it is absolutely fantastic. The marinade is amazing. I marinated for about 45 min in the fridge and then grilled the chicken. So flavorful! I will be making this again and again for my family. My boys couldn’t get enough of it. Thank you! 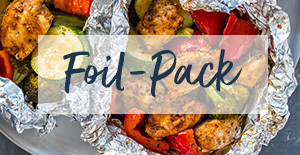 We tried this recipe today and it was soo good! Thanks for sharing! I made this but replaced the chicken with tofu. It was delicious!!! Oh my this is perfect. I love Chipotle but can’t afford it often. This recipe looks yummy. I see something new on the lunch menu for this mommy! This recipe looks absolutely delicious. The problem is I’m finding I’m having to look up translation for a lot of the ingredients being from the UK! For example I had never heard of cilantro but having looked it up I see it’s what we call coriander. Same for scallions, I’d never heard of this word before but now know they are what we call spring onions, and I’m not familiar with tacos so I’m not sure what’s in a taco spice mix although I think they might sell some in the supermarkets over here. I think the reasons for the differences is the Spanish influence in the US, whereas over here we often use the French word after the Norman invasion many many years ago. An interesting language lesson for me anyway! Thank you Kate, I understand how you feel! At times when I am in the middle east and go shopping they have different names for everything! Here in the states, Coriander is the dry (seeds) version of cilantro; I don’t know if by coriander you are referring to the green herb or the seed, but cilantro is the green herb. Scallions are the long green onions. Last but not least here is a homemade taco mix just in-case you can’t find it there. Great to see the taco seasoning recipe. 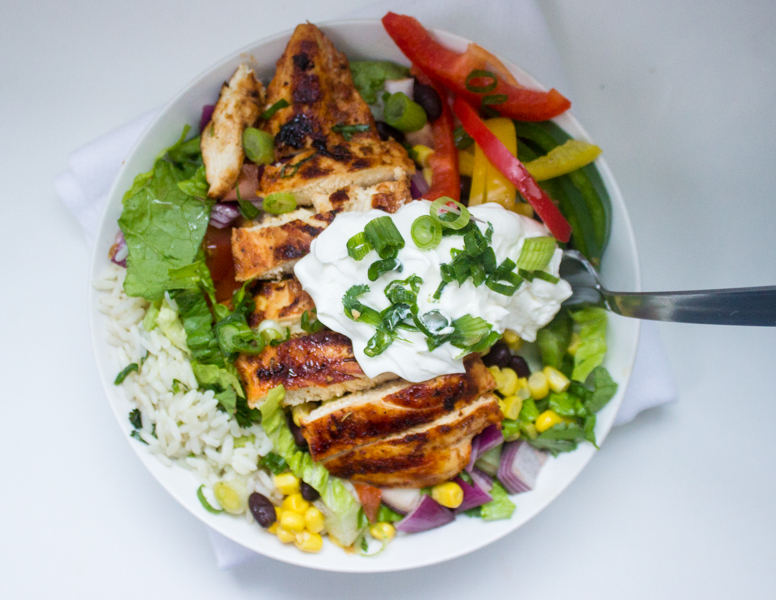 How much of this would use for this chicken burrito bowl recipe? 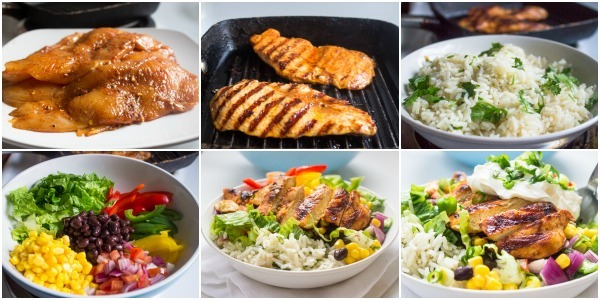 All of it for the four chicken breasts? I love the burrito bowls from Chipotles. Your homemade version looks fantastic, Layla! YUM! 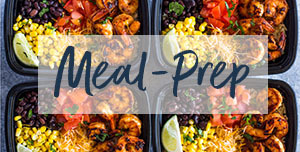 Oh my gosh I LOVE Chipotle and I love making burrito bowls – it’s one of my family’s favorite meals. Your version looks awesome, too! Thanks for the Pin Abbie! I’m sure your husband is going to love your much better than Chipotle’s bowls! After all, homemade is always better! Yes!! 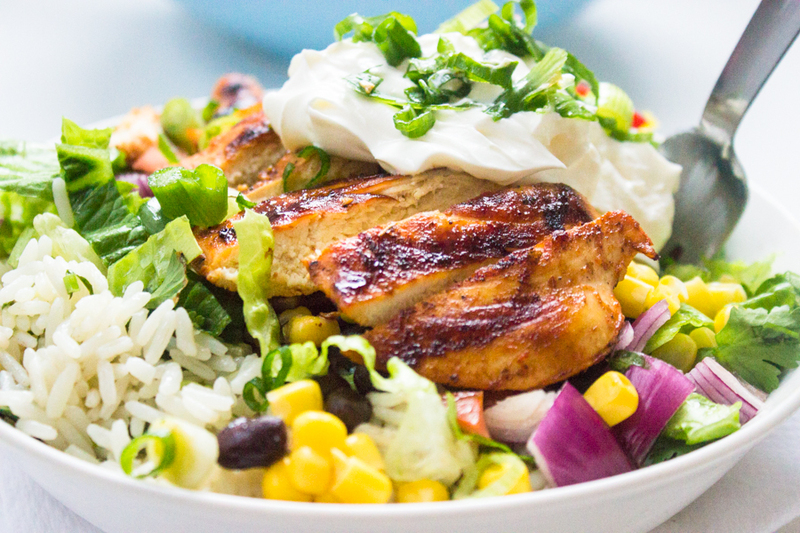 I can’t get enough of Chipotle’s chicken burrito bowl and this looks amazing! Can’t wait to make it at home! It sure does save a ton of money making it at home! If I’m not mistaken, I believe it’s about $2 a bowl, which is great considering how healthy the dish is. I don’t get to say this a lot but….I’m making this tonight! I pulled out chicken and I was trying to figure out what to make that a) wasn’t the same as last week and b)wouldn’t require a grocery shop! Thank you so much – this is healthy, delicious, beautiful…and will help keep me sane today! Happy Monday Layla! I’m glad I was able to help you make a decision. I do the same thing everyday, I take out the meat from the fridge and leave it there until I decide what I’m going to make. Let me know if the family likes it! Oh my heck this looks good! I love burrito bowls and cilantro lime rice is my favorite! What a great creation! Pinned! Chelsea, Thank you for pinning! Thank you so much for the recipe. 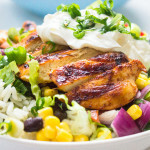 My children have asked for this chicken bowl everyday this week. yes yes yes! Love this. 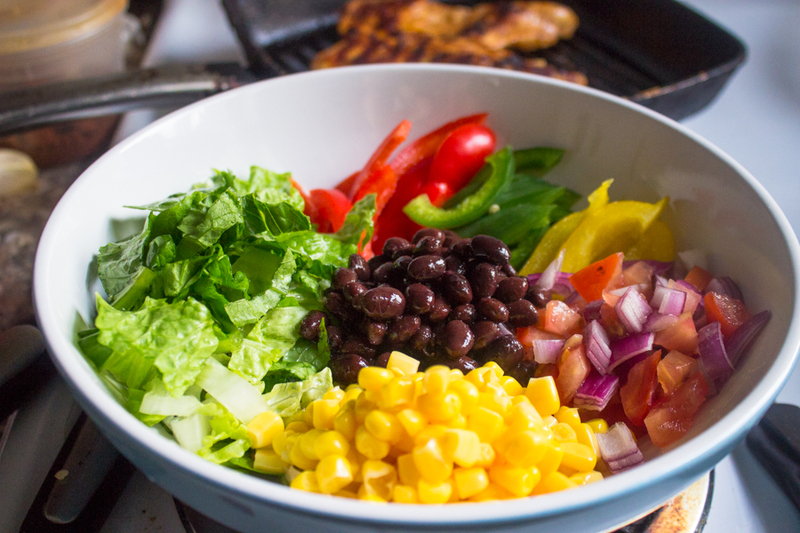 My wife and I love the burrito bowls at Chipotle also and it’s something we try to make a few times a month at home. We haven’t had it in awhile actually… thanks for reminding me! Now I know what to make for dinner this week! What a yummy meal. All those colors make it look so fresh and healthy! 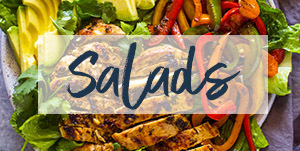 Yours looks infinitely better than Chipotles. Thanks Christin!! I’m sure your going to love it! LOVE THIS! 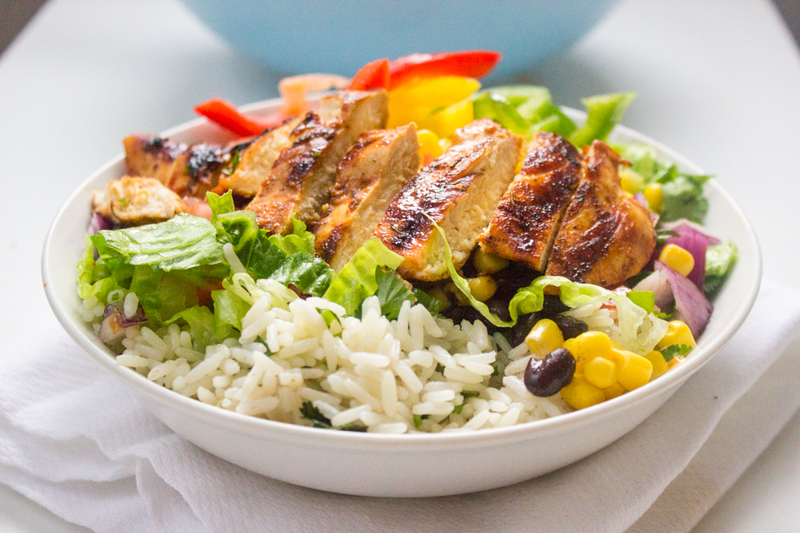 My hubby is kinda obsessed with Chipotle, so I love that I can make it at home for him…and it’ll be a whole lot healthier! Love those colors girl! My husband is obsessed with it as well. Trust me, It’s so much better at home! Beautiful colors, a very well balanced meal. Plus there’s chipotle… I love this! 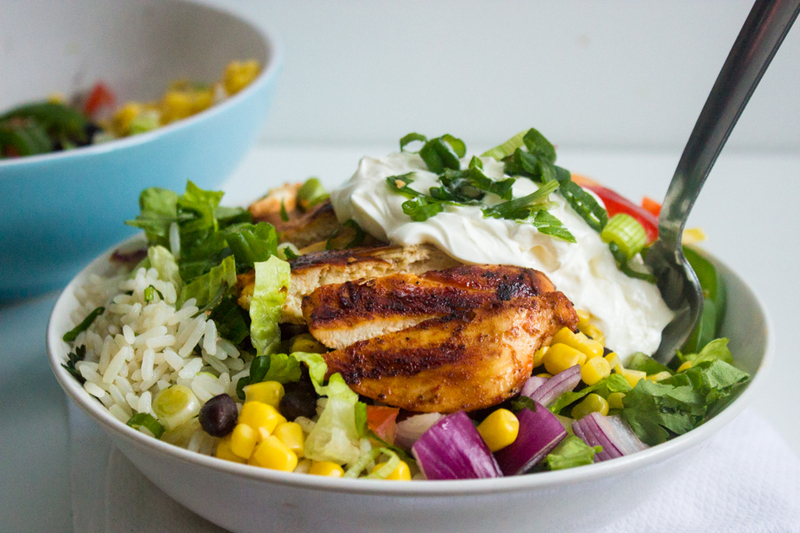 This burrito bowl is calling my name!